Ace and the Veterans of Foreign Wars (VFW) collaborate to distribute 1 million American flags nationwide this Memorial Day.. In the true spirit of Memorial Day, Ace Hardware is collaborating with the Veterans of Foreign Wars of the U.S. (VFW) to honor veterans by pledging to give out 1 million FREE American-made flags nationwide. On Saturday, May 26, consumers are encouraged to visit participating Ace stores to receive a free 8” x 12” American flag*, while a second flag is donated to a local VFW Post to be used for marking and honoring veteran graves this Memorial Day. The 1 million American flag giveaway aligns with Ace Hardware’s long history of supporting veterans nationwide. Ace’s very name is a commemoration of the “Flying Aces,” the courageous fighter pilots from the First World War. Ace’s patriotism continues through the support of its veteran retailers, and the sincere appreciation for all the veterans and active-duty military who work in Ace stores, distribution centers, and its corporate offices. Flags will be available in participating Ace stores, while quantities last. In-store only. 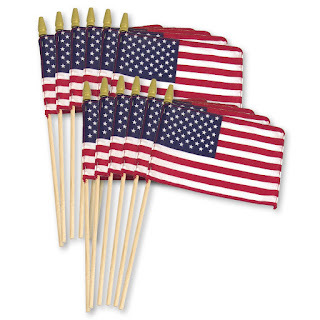 Limit one 8” x 12” flag per customer. No purchase necessary.